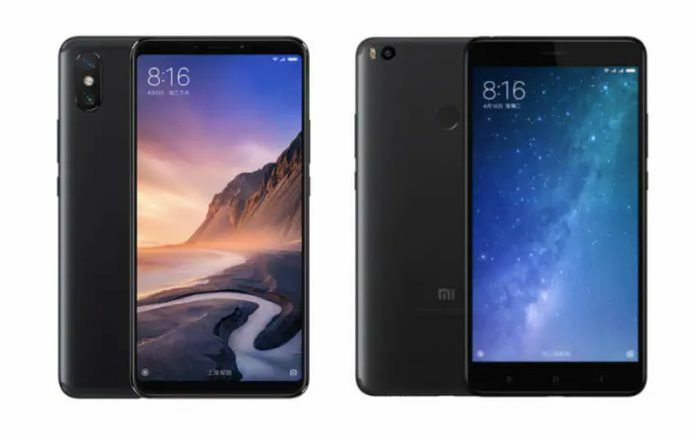 Home News Xiaomi Mi Max 3 vs Mi Max 2: What’s New and Different? Xiaomi Mi Max 3 vs Mi Max 2: What’s New and Different? 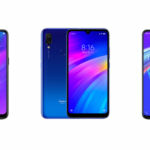 Xiaomi launched the third iteration of the large-screen smartphone Mi Max 3. The Chinese manufacturer launched the budget handset in China and is now available for sale in that market. The Xiaomi Mi Max 2 was undoubtedly a well-received smartphone, and the Mi Max 3 will have to live up to a lot of expectations. Now that the third generation is out, let’s take a look at the differences between Mi Max 2 and Mi Max 3. Xiaomi launched the Mi Max 3 in two variants. The difference is limited to RAM and internal storage capacity. The Xiaomi Mi Max 3 starts at 1,699 yuan in China. This roughly translates to Rs. 17,000 for the 4GB RAM/64GB ROM model. The 6GB RAM/128GB ROM version is priced at 1,999 yuan, which translates to Rs. 20,000. 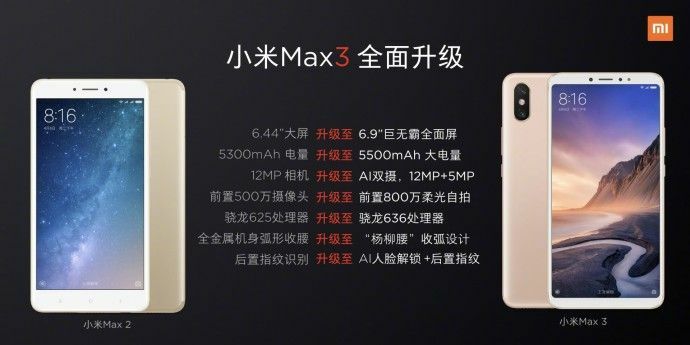 Interestingly, the Chinese prices for Mi Max 3 variants are remarkably similar to what Xiaomi was asking for Mi Max 2, when the company launched the smartphone in May 2017. Currently, the Xiaomi Mi Max 2 costs Rs. 13,999 for the 32 GB variant and Rs. 15,999 for the 64GB variant. Hence it is quite likely that Xiaomi may choose slap similar MRP on Mi Max 3 in India. There’s also a rumored Mi Max 3 Pro edition. 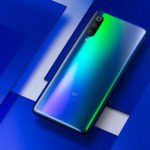 This edition may have Snapdragon 710, instead of Snapdragon 636 that powers the versions currently released. Industry insiders speculate this version could have a sticker price of Rs. 22,999. Xiaomi has positioned the Mi Max smartphones as devices with large displays, and the Mi Max 3 is no exception. Also, the Mi Max 3 offers more real-estate due to slimmer bezels and 18:9 aspect ratio. The most striking difference between the two smartphones is undoubtedly on the back. Xiaomi has embedded a vertically stacked dual-camera setup in the Mi Max 3, as against the single camera unit on its predecessor. However, both the devices have a rear-mounted fingerprint scanner placed at a very similar distance to the rear camera. The Xiaomi Mi Max 3 sports a tall 6.9-inch HD+ display with a resolution of 2160×1080. The Mi Max 2 has a 6.44-inch screen with a resolution of 1920×1080. 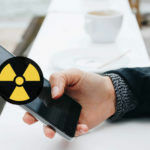 The latest version has a higher screen-to-body ratio of 79.8 percent as compared to its predecessor, which is 74 percent. In the real world, the Mi Max 3 sports a taller screen that has the same width with slimmer bezels as compared to the Mi Max 2. The Mi Max 3 is available in three colour variants – Black, Blue, and Gold. The Mi Max 2 is available in Black and Gold options only. 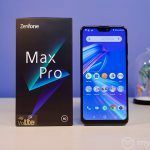 The Xiaomi Mi Max 3 packs the same core hardware as the Redmi Note 5 Pro and Asus Zenfone Max Pro M1. A 1.8 GHz octa-core Qualcomm Snapdragon 636 processor that’s paired with Adreno 509 GPU powers the Mi Max 3. The Mi Max 2 packed a 2 GHz octa-core Qualcomm Snapdragon 625 processor clubbed with Adreno 506 GPU. Needless to mention, the SoC on the Mi Max 3 is better optimized despite having a little less raw computing power. Qualcomm assures the Snapdragon 63X platform offers a significant boost in computing and a sizeable performance boost in graphics. Xiaomi Mi Max smartphones have always packed large batteries. Both the iterations from the company sport respectable battery packs. While the Mi Max 2 packed a 5,300 mAh unit, the Mi Max 3 has a 5,500 mAh battery. There’s little difference between the two units. Hence it is the screen, hardware, and software that will dictate the performance and battery endurance on the Mi Max 3. Astoundingly, Xiaomi is promising a standby time of 474 hours or 20 days from the battery in Mi Max 3. The smartphone supports Quick Charge 3.0. Xiaomi assures buyers can charge the Mi Max 3 up to 71 percent within one hour. Speaking of software, the Mi Max 2 arrived with a much older version of Android last year. Android Nougat 7.1 with MIUI 8.5 powered the device. Meanwhile, the Mi Max 3 smartphone runs Android Oreo 8.1 with a newer version of Xiaomi’s custom ROM, the MIUI 9.5 out of the box. The latest version from Xiaomi offers powerful AI voice assistant and other benefits. Moreover, the Mi Max 3 could soon get MIUI 10, which promises to bring several ground-breaking improvements. 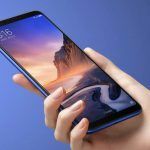 Given the significant upgrades in hardware, especially in the imaging department, and the chipset, the Xiaomi Mi Max 3 is undoubtedly a significant upgrade over Mi Max 2. 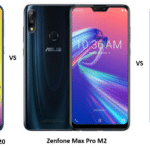 Moreover, the third iteration packs a great-looking tall display as compared to the previous generation of the smartphone. Finally, the Mi Max 3 strongly reaffirms the steady march towards a world of slimmer, bezel-less phones that do not compromise on performance and endurance.